How to correctly seal container? 1.Customs mark is not allowed to open randomly, which should take legal responsibility. Customs open container and check. Customs need to open container or check goods one by one. And in order to tell others know it is not opened illegally, a customs seal is locked to mark. At the same time, the serial number is also recorded at customs check record book. Customs transfer port. Goods need to be transferred to inland to apply customs declaration when importing from port customs. 2.Carton number is the unique mark of container. Seal number is possibly changed during transportation, that is to say, there could be several seal numbers. The bill of lading number is related to goods inside of container, could be one, and could be several. That is to say, one container can load goods of several bill of lading without limit. 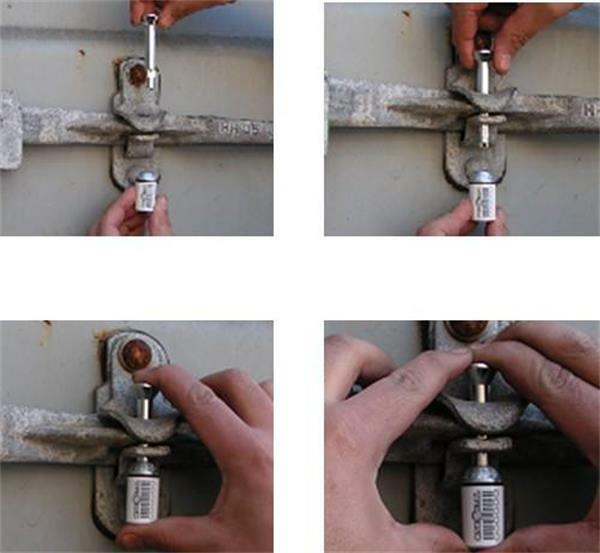 3.Container seal number is provided by owner of ship, nor customs or wharf. It is provided by the entrusted company by the shipper when empty container is about to leave wharf. Different shipping companies have different number making way of container seals. The container seal corresponds with seals. When factory finishes loading, it locks seal to show that factory confirms the goods quantity before locking. And when container returns back, wharf also records container information. And factory is not allowed to change seal randomly. As the carrier of goods, the only way that ship owner guarantees goods are complete is that when container arrives destination port, seal number accords with the one before container comes wharf and seal number is complete.